November is a spectacular time to be outdoors, and we are highlighting our recommendations for special bird watching events, urban fishing opportunities, ways to celebrate Native American Heritage Month, and tips for visiting Utah’s National Monuments during this beautiful fall season. Enjoy! This is our second month of featuring places that are special to us. We hope you enjoy these November "Enjoying the Outdoors" recommendations-- please let us know what you want to see more of and we will do our best! If you are inspired, we invite you to share places you enjoy and would like to recommend to the HECHO community! Finally, in our monthly email to you, we want to keep informing you of ways to have your voice heard on public land conservation issues. So, please be sure to read our section below called "Amplifying Our Voices" and be aware of deadlines (November 15) for public comments about land-use management plans impacting our national monuments. Fall bird migrations are in full effect in November, with special viewing opportunities in Arizona and New Mexico. Not to be missed are the approximately 18,000 Sandhill Cranes that return each year after traveling thousands of miles from as far as the Arctic Circle. We highly recommend sunrise or sunset at Festival of the Cranes, taking place this year November 14 – 17 at Bosque del Apache National Wildlife Refuge for a mind-blowing front row seat. There are plenty of places to stay in the nearby town of Socorro; or drive on hour further south to Truth or Consequences for some healing hot springs, which feel especially good in these colder months. In addition to Sandhill Cranes there are huge flocks of Snow Goose, Ross’s Goose, Canada Goose, and other waterfowl (more than a dozen duck species) that winter here. If you can’t make it to Bosque del Apache there is wonderful birding right in Albuquerque at the Rio Grande Nature Center State Park. More than 300 species have been recorded in this relatively small area. Other hot birding spots around New Mexico are listed here by Audubon, including Carlsbad Caverns National Park, Bitter Lake National Wildlife Refuge, Sandia Crest, Las Vegas National Wildlife Refuge, and Gila National Forest. 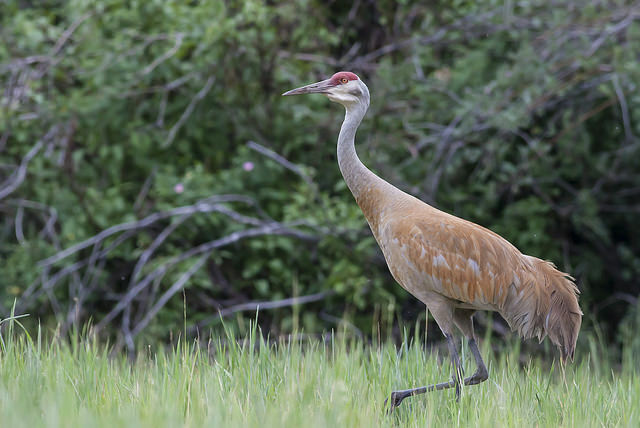 The best place in Arizona to see the wintering Sandhill Cranes is Whitewater Draw State Wildlife Area, also known for more than 280 other bird species including American Bittern, Black-crowned Night-Heron, and White-faced Ibis. Other notable birding spots in Arizona include the Chiricuahua Mountains, the San Pedro Riparian National Conservation Area, Patagonia Lake State Park, Madera Canyon, Sweetwater Wetlands Park, Riparian Preserve at Water Ranch, Boyce Thompson Arboretum State Park and Watson Woods Riparian Preserve. See Audubon’s full list of recommendations here. New to birding? On Friday November 9 Maricopa County Parks and Recreation in Arizona is offering an Intro to Birding Class from 10 – 11am. If you live in an urban area, do you know where your nearest fishing pond is? Many local fish and game departments stock city lakes with trout and other fish in November including Nevada (we recommend Floyd Lamb Park Pond and Sunset Park Pond in Las Vegas); Arizona (click here to see the seven city parks stocked with trout in Phoenix); and New Mexico (check out beautiful Tingly Beach in the heart of Albuquerque). Plus there are free fishing days coming up in Arizona, created for long-timers as well as newcomers! Follow HECHO on Facebook to hear about upcoming free fishing days, and check out these photos from past fishing days co-hosted by HECHO. Saturday, November 17, 2018, 8 AM to Noon – Free Family Fishing Day at Desert West Park in Phoenix, Arizona (6602 W. Encanto Blvd.) – Maricopa County Supervisor Steve Gallardo will be partnering with the Arizona Game and Fish Department, HECHO, Maricopa County, and the Cartwright School District to host this morning of family fishing fun. Loaner rods and bait will be provided (or bring your own). For more information about free fishing days in Arizona contact the Sport Fishing Education Program at (623) 236-7240. November is Native American Heritage Month, “a time to celebrate rich and diverse cultures, traditions, and histories and to acknowledge the important contributions of Native people. 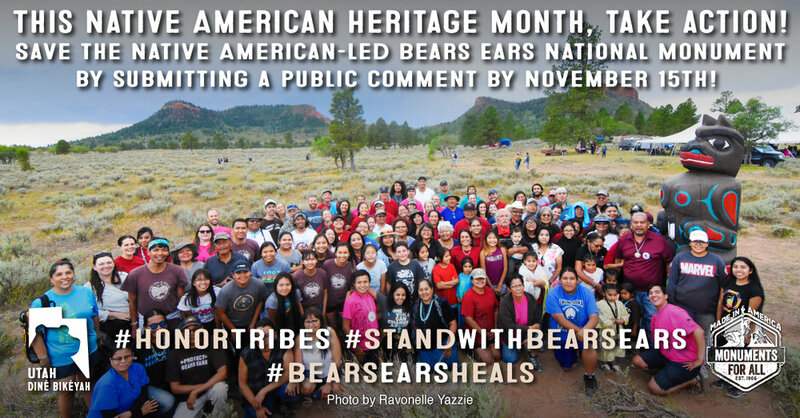 Heritage Month is also an opportune time to educate the general public about tribes, raise a general awareness about the unique challenges Native people have faced both historically and in the present, and the ways in which tribal citizens have worked to conquer these challenges." New Mexico's Tourism Department featured a list of 14 ways to celebrate in honor of the state’s 23 Indian tribes, which include “19 Pueblos, three Apache tribes and the Navajo Nation.” The list includes visiting the Acoma Pueblo, Taos Pueblo, the Indian Pueblo Cultural Center and participating in Native American Feast Days, which in November include San Diego Feast Day at the Tesuque and Jemez Pueblos on November 12. HECHO Executive Director Camilla Simon recently visited the Acoma Pueblo 60 miles west of Albuquerque. If you are in the area, she encourages you to visit Sky City, which is “regarded as the oldest continuously inhabited community in the United States,” and take the tour to learn directly from the pueblo about their unique heritage, culture, and language. Arizona State University also has a host of upcoming events in honor of Native American Heritage Month including a traditional Pow Wow on Saturday, November 10 from 11 AM to 10 PM. The University of Utah has a list of events as well, including an evening of inter-tribal dance on Nov. 21 from 4-6 p.m.
November is the perfect time year to visit our country’s national parks and monuments. 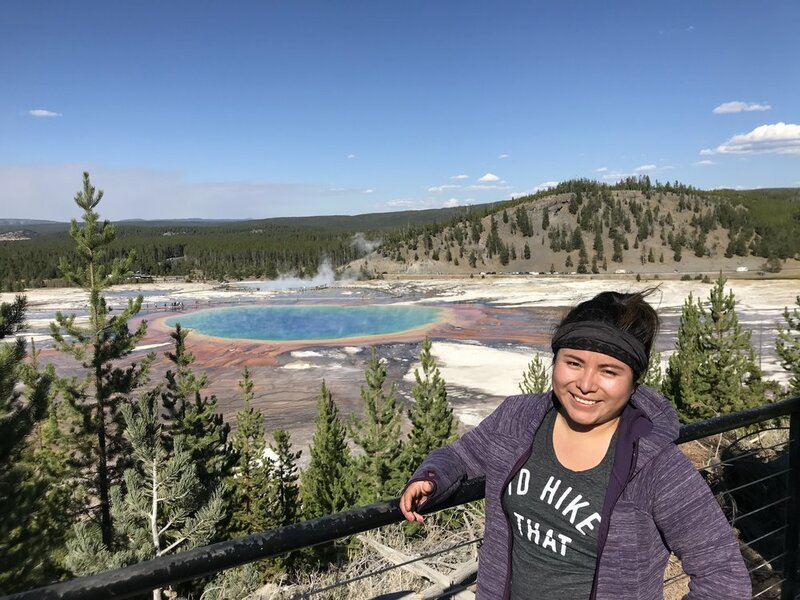 HECHO blogger Adriana Garcia Maximiliano recently wrote about her recent road trip through four national parks including Yellowstone and Grand Teton in Wyoming, Great Basin in Nevada, and her first-ever, backpacking trip in Montana’s Glacier National Parkwhich you can read about here. HECHO Board Member and Utah Representative Rebecca Chavez-Houck highly recommends November to tour any of the “Mighty Five” National Parks in Utah which include Arches, Bryce Canyon, Canyonlands, Capitol Reef, and Zion. This past October, she and her husband opted to visit Capitol Reef National Park, which is often one of the more overlooked gems. It takes about 3.5 hours to get to Capitol Reef from Salt Lake City. You won’t want to miss any of the hikes or drives in and around the park. One of the most amazing drives is through Cathedral Valley. Unfortunately, Rep. Chavez-Houck wasn't able to drive through there this time because rain made the road impassable, but if you have a chance to go through the Valley, she strongly encourages you to do so. After spending the first couple of days in Capitol Reef, Rep. Chavez-Houck took the Notam Road south off of Hwy 24, through the southeast portion of Capitol Reef National Park and then went along the Burr Trail switchbacks through Grand Staircase Escalante National Monument. Rep. Chavez-Houck says, "You’ll need a high clearance 4WD vehicle, although we did see some sedans making their way along the road. If the road gets wet, you’ll definitely need 4WD." "The debate on the benefits of preserving the 22-year-old monument have been ever present since President Bill Clinton designated the monument back in 1996, and now that the boundaries for monument (along with Bears Ears) are threatened the discussion remains heated in our state. My colleagues on the HECHO Advisory Board and I continue to defend both monuments," says Rep. Chavez-Houck. While at Grand Staircase, Rep. Chavez-Houck highly recommends Hell’s Backbone Grill for “locally-sourced, gourmet fare that will not disappoint.” Reservations are highly recommended, and the Grill will be closed for winter. If you’re not camping, the Grill is situated on the Boulder Mountain Lodge property, which provides great accommodations for people making their way through the national and state public lands in that part of Utah. The owners of the Grill, Jennifer Castle and Blake Spalding are some of the most vocal defenders of the monument. While there, Rep. Chavez-Houck thanked them for their efforts to protect and preserve the monument. Gracious as always, Jen noted that the appreciation was mutual. We share that thanks with all of you who are part of HECHO. We urge the HECHO community to tell the Bureau of Land Management that we need to wait until the five pending lawsuits are decided about the legality of shrinking these monuments in the first place before moving ahead with management plans for how these sacred and historic areas will be opened up for mining, drilling and other development. At least one management plan should be considered that honors what to do if, in fact, the Administration’s attempts to dramatically reduce the size of these monuments is ruled illegal according to the Antiquities Act. If you need tips on how to submit a comment for Bears Ears National Monument, please check out this wonderful resource from the Grand Canyon Trust. 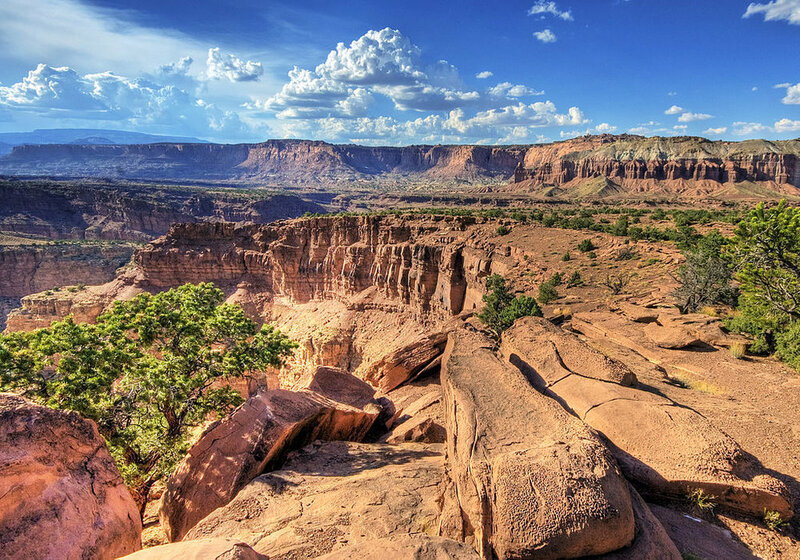 You can also submit your public comments for Bears Ears and Grand Staircase Escalante National Monuments through the Monuments for All website.